Hello everyone. I hope you had a wonderful, peaceful and productive week. I am grateful for your continued support for my blog and I am also very appreciative for the comments, prayers and questions that many of you continue to submit to me through the blog. With that in mind, I thought I might open this week’s post by answering several questions. �This was a wonderful thing you�ve done. Thank you. And so I will take this opportunity to ask you. Why does the Church not teach When Jesus knew He was God? I understand about the human/divine and our not understanding how it worked, but why can�t it be taught that the Church knows Jesus knew He was God no doubt at least by His Passion? Muslims ask did Jesus know He was God? Catholics need to know that if Jesus did not know He was God then He wasn�t, because that is what Muslims say. There are many places throughout the Gospel where Jesus refers to his own identity as the Messiah. Certainly in all of the �I am� references in the Gospel are allusions to �Yahweh� – �I am who am,� the title that God reveals to Himself. The name that God reveals to Moses, is the name that Jesus applies to Himself. So, I don�t think there�s any problem in saying that Jesus was aware of His identity. �Wow!!! A Capuchin Cardinal who blogs!!! 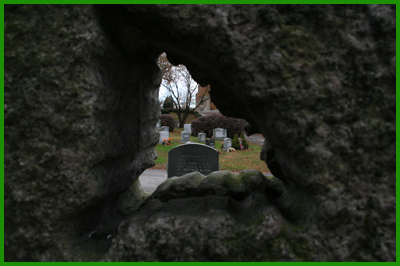 I belong to a small church in Passaic, NJ – Our Lady of Mt Carmel – pastored by Capuchin friar. Links in blogosphere spread your blog. Just a suggestion, maybe a group blog of like minded friars and priest is in order for continuity and immediacy of events and happenings of your archdiocese and the Catholic Church in general. How did a Capuchin friar became a Cardinal? How does the Church integrate Jesuits, Redemptorists, Salesian, diocesian priests and other religious orders? Maybe it can be relayed to Shia, Sunni and other Muslim sects how to get along. Well, a Capuchin friar becomes a Cardinal like any other; you are named by the Holy Father. The Church does try to integrate the charisms, or the gifts, of the different ministries and spiritualities of the religious communities and movements in the Church. All of the communities together help to enrich the Church with their differing spiritualities, histories and ministries. I don�t think that the comparison between the different religious communities and the different branches of the Muslims is a really legitimate one, because the different branches of the Muslims would be more like Catholic and Protestant�they�re both Christians, but have a lot of differences. Whereas in the religious communities, we�re all following the Catholic faith. We just have different emphasis in the spirituality and different ministries, but basically are all part of the Catholic Church. 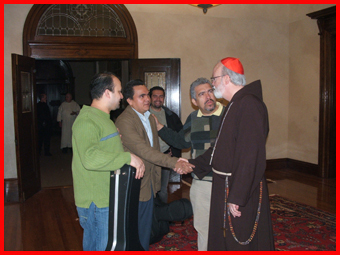 �Cardinal Sean, I am delighted that you will begin to communicate with those of us in the pews of Boston and environs. �Patricia,� I want you to know that I share your concerns about how sacred objects are handled and treated. They deserve great reverence and should only be utilized in appropriate religious and sacred settings. I too am very disturbed and upset to hear about the inappropriate handling of the Stations of the Cross that you mentioned in your comment. I understand and sympathize with your feelings. I�m sorry that you, and others in similar situation in the past, were hurt by such instances. I want you to know that since that time, the Archdiocese has a policy in place that serves to guide and oversee the reallocation and re-use of religious objects from Church buildings that have gone out of use. These objects are now removed, catalogued and re-used in other Catholic Church buildings. Numerous parishes throughout the Archdiocese have received such sacred objects. In this way the objects continue to be used in Catholic settings, much as their original donors intended. We receive many comments and notes of appreciation from parishes, schools, hospitals and chapels that now serve as new �homes� for such religious items. Many times, these receiving Church entities are in desperate need for such items. I wish to tell you about a vocations retreat for young Hispanic Catholics that I attended last weekend. The retreat was at the seminary. There were a number of young men from the different Hispanic communities in the Archdiocese who are considering the possibility of a vocation to the priesthood. Last year I had a similar retreat that was spoken all in English, and there were a number of Spanish-speaking young men in attendance. So, at the time I thought it might be nice if we had an outreach specifically to the Hispanic communities. Fr. 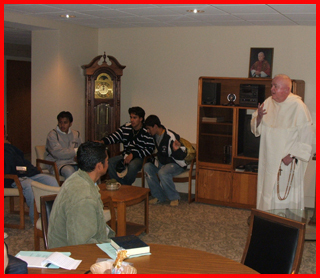 Macias is working in the vocations office with the new communities in the Archdiocese. He�s the one who organized this event last weekend. It was a good experience for the young men and an opportunity to experience a little bit of seminary living. They were a younger group, mostly in their early twenties. I was grateful for the opportunity to share in their experience. Some of the young men who participated, as well as the people who provided the music during the retreat, were from Bishop-Elect Hennessey�s parish, Most Holy Redeemer, in East Boston. We were most grateful for their participation and for the interest of the entire group. St. John Seminary Rector Fr. John Farren speaking with some of the young men on the vocations retreat. Meeting with some of the reatreat’s participants. Also this past weekend I was honored to celebrate Mass for the Catholic Medical Association, who was having their annual national convention here in the Archdiocese this year. 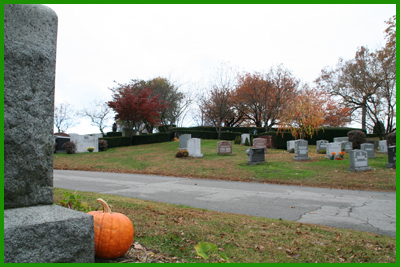 Our local St. Luke�s Guild was very involved in hosting this event. Of course Dr. Helen Jackson and Dr. Gerald Corcoran, the conference chairman, were very much involved in the logistics of setting it up. They had many very interesting speakers. In the evening, Fr. Richard Neuhaus addressed the group. He�s very well known for his magazine, First Things. I had Mass for the group at the Cathedral of the Holy Cross in the early evening. Each year we do have a White Mass for health care workers. 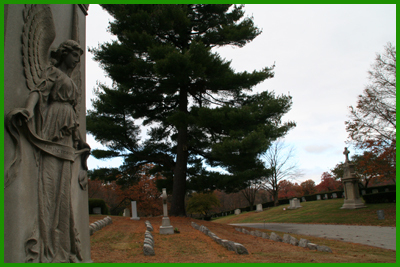 This year it was incorporated into the events of the Catholic Medical Association�s Conference here in Boston. 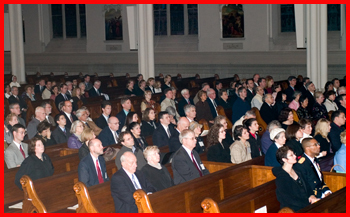 There was a good turnout for the Mass for Catholic Medical Association Conference participants at the Cathedral. What the Cardinal implies is true. The homeless schizophrenic man off his meds is Jesus. He has a claim on our love as does everyone who is sick, homeless, in prison, hungry. Faith allows us to see and understand what is not visible to the naked eye. In the Gospel, Bartimaeus is a blind beggar, but in his blindness he sees Jesus with the eyes of faith. And that faith saves him. This week�s Economist gives us an insight about the vision that faith gives us, and how it enhances our life and contributes to the wellbeing of society. The Economist published the article because we Americans are now 300,000,000. The author goes on to say that in the European Union the fertility rate is 1.4, well below replacement. By 2010, deaths are expected to outnumber births in Europe. In Spain and Italy, the fertility rate is 1.2, which means that the number of Spaniards and Italians will be half in 42 years. Typically they will have no brothers nor sisters, no cousins and no aunts and uncles. The more prosperity the country in the European Union, the less children they seem to have. Faith has been one of the strengths of our country since the beginning. And as De Tocqueville said it is an essential part of our ability to bridle extreme individualism. But before we congratulate ourselves, we must recognize that all is not well in Camelot. Marriage is in danger. Marriage and Family are the sanctuary of life and they are under attack, not just in Europe but in our country. Here too the influences of secularism are strong and the problems of society are growing. Certainly one of the big challenges that will result from the demographic winter in Europe will be the demand for euthanasia as the workforce shrinks and the aged population grows. A culture that allows parents to kill their own children will soon want to let children kill their parents, especially when there is a lopsided demographic. As Catholic physicians you are in the front lines of the debate over the dignity of life. Life is a gift to be cherished, nurtured and defended. Bartimaeus� prayer comes from his poverty and from the desire to see, he calls out for mercy. �Jesus, Son of David, have pity on me.� He cries louder and louder, it is almost in desperation. Bartimeus fears that Christ will pass by and not hear him. Jesus calls him over and says, �What do you want me to do for you? Bartimeus answers the obvious, �Master, I want to see.� God knows what we need and what we want. He wants us to ask. The very act of asking stretches our hearts and deepens our faith. Jesus cures Bartimaeus and tells him: �Your faith has saved you.� Bartimaeus was asking for a cure for his blindness, Jesus wants to give him much more. He wants to grant the blind beggar salvation. For me the most beautiful part of today�s Gospel is that after Bartimaeus was cured, he followed Jesus. I think that for that reason, Mark includes his name in the Gospel (Mark includes very few names in the Gospel) because Bartimaeus� prayer was a preface not just to a cure but to discipleship. In Perez Goldos� novel, Marienela, a young girl in Spain with a great capacity for love and friendship has a boyfriend, Pablo, who is blind. Marienela cares for Pablo, reads to him, cooks for him, takes him for walks. Pablo�s family takes him to the city where he is operated on and cured of his blindness. Back in his village, Pablo sees Marienela for the first time in his life � this woman who loves him more than any one else ever could, or ever would. But now that Pablo can see, he discovers that there are other young women prettier than Marienela in the village. So he ends up marrying someone else. The irony is of course that when Pablo was blind he could see, but when he could see with his eyes, he could see only appearances, only what is on the surface. Appearances often deceive us. While Bartimaeus was blind, he could see with the light of faith. The vision only grew stronger as his life of prayer and discipleship advanced. Bartimaeus becomes the inspiration for the Jesus Prayer, which is �Jesus, Son of David, have mercy on me.� This prayer repeated over and over again is rooted in the name of Jesus and at the behest of the Scriptures to pray without ceasing. The Russian spiritual classic, the Way of the Pilgrim, recounts the quest for constant prayer and describes the mysticism that has emerged from the simple prayer of the blind beggar who would not be silenced. In prayer, we like Bartimaeus, find God and discover His love. When we discover who God is, we discover who we are, why we are here and what we have to do. Catholic physician brothers and sisters, take courage, arise. Jesus is calling you. On Wednesday, All Saints Day, we had Mass at the Cathedral for the students of Cathedral High School in the South End. There was a wonderful group of students who acted as lector servers. They also have their own Gospel Choir, who provided the music. It was very lovely. The student body and the faculty were all there. Also on Wednesday, I was visited by a representative of CCHD, the Catholic Campaign for Human Development, which is an annual collection taken up at all the parishes. The money is used to fund community organization, such as anti-poverty type of programs and other social justice initiatives. Their New England liaison, who visited me on Wednesday, once worked for me in Washington at the Hispanic Catholic Center. His name is Randy Keesler. His daughter is coming up to work as a volunteer at the Haley House in Boston located on Dartmouth Street. Haley House is a Catholic Worker group that follows the inspiration of Dorothy Day. They do so much work in the Boston area, from job training to feeding the hungry in Boston. They have a type of caf� on Washington Street in Boston. We went there for lunch. It was very encouraging to learn more about the wonderful work that they are doing. Dorothy Day was a pacifist�of course during the Second World War that was a popular thing to be. She was often arrested for being at demonstrations and such. But, her main focus was taking care of the poor, particularly in urban areas through these �houses of hospitality.� She was a very holy woman. Cardinal O�Connor introduced her cause for canonization before he died. She was certainly one of the great lights in the history of the Church in the United States. Her story is also a wonderful conversion story�a woman who had a couple of children out of wedlock, had an abortion, had been a communist and then later came into the Church and set up such a wonderful movement that has touched so many people�s lives. She was quite a political activist, but very much fought the evils of racism, defended the poor and was a very strong pacifist. Haley House here in Boston comes out of the tradition of her Catholic Worker Movement. Houses of Hospitality spring up across the country and find their inspiration in Dorothy Day and the Catholic Worker Movement. I continue to be overwhelmed by your support and feedback for my blog. Not only has the number of visitors been remarkable, but also, I have been grateful and pleasantly surprised by the locations from where people of all ages, especially younger generations, are visiting the blog. The blog has had many, many visitors from the Archdiocese of Boston, but also from all across the country and from all over the globe. It�s very telling that people from all over the world would have an interest in this. It certainly underscores the importance of the Internet and new technology as a means of communication today. The interest is also a good indication of how Catholics are interested in the Universal Church and things that are happening in the Church in other countries. But, it certainly is amazing to see that we are reaching such a wide variety of people. As you can see from the list of regions, provinces and countries from all over the world below, there are many delightfully surprising places where people are visiting the blog. I would have thought you would expect from the English-speaking world to have a lot of people visiting from the Blogosphere. However, it�s wonderful and amazing to have visitors from so many different and unexpected places like Singapore, Hong Kong, Russia, North Korea, Israel, Japan, Iran and so on. It really is something. It�s also amazing how many African countries are visiting too. 6 Continents: North America, Europe, Asia, Oceania, South America, Africa (Central America is reported as part of North America on the service that tracks visitors). 9 Canadian Provinces: Ontario, Alberta, Quebec, Manitoba, British Columbia, Saskatchewan, New Brunswick, Nova Scotia, Newfoundland. Other �North American� Territories: Bahamas, Costa Rica, Mexico, Jamaica, Virgin Islands, Dominican Republic. South American Countries: Uruguay, Argentina. 25 European Countries: Italy, Germany, United Kingdom, Russia, Ireland, France, Spain, Norway, Netherlands, Poland, Vatican City, Switzerland, Belgium, Malta, Slovenia, Sweden, Austria, Portugal, Romania, Czech Republic, Lithuania, Denmark, Bulgaria, Belarus, Yugoslavia. 16 Asian Countries: Singapore, China, Hong Kong, Philippines, India, Japan, Russia, United Arab Emeritus, Israel, Viet Nam, Taiwan, Saudi Arabia, Malaysia, North Korea, Indonesia, Iran. 9 African Countries: South Africa, Ivory Coast, Kenya, Nigeria, Uganda, Sudan, Burkina Faso, Ghana, Ethiopia. I was invited to speak at a breakfast meeting of the South Shore Chamber of Commerce on Thursday morning. 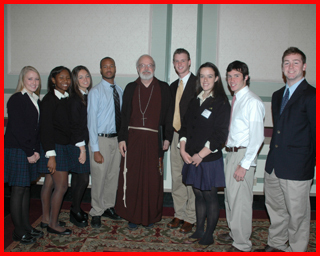 A group of students from Archbishop Williams High School were invited to attend as well. I posed for a picture with them. 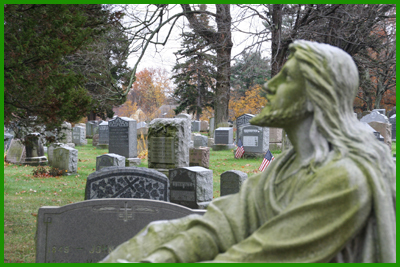 One of our Works of Mercy is burying the dead in the Church and we have many cemeteries in the Archdiocese. Each day when Mass is celebrated we pray for all of our dead. 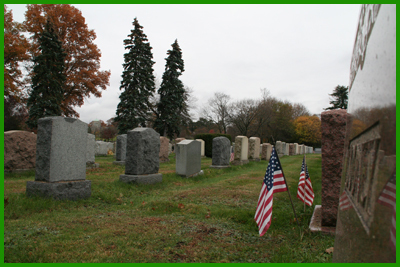 We are particularly mindful of this during the month of November, when it�s very traditional for people to memorialize their deceased relatives and friends. 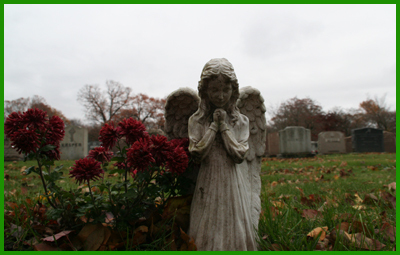 Cemeteries are sacred ground, blessed ground. Please pray for, and remember, your loved ones and friends who have passed, particularly during this month. I�d also like to remind you that Sr. Olga Yaqob will be the guest speaker for the �Christ Speaks In The City” Lunchtime Lecture Series taking place next week, on Wednesday, November 8 from 12 noon � 1:00 p.m. This event, organized by our vocations office, is held at the Old State House in Boston and is free of charge�there will also be a light lunch provided. Sr. Olga is a diocesan hermit who is currently doing an extraordinary job working in Campus Ministry at Boston University. I encourage young professionals of Boston to attend Sr. Olga�s lecture and take advantage of the opportunity to meet her. I hope you, your family and your friends have a wonderful weekend.